Leverkusen/Istanbul – Specialty chemicals company LANXESS plans to expand further in the Turkish market. For the first time LANXESS will showcase its rubber expertise on the Turkish market at RUBBER 2012 in Istanbul, which is already being held for the seventh time in cooperation with TÜYAP Fairs and Exhibitions Organization Inc. and the Turkish Rubber Association. Visitors can find all sorts of information about synthetic rubber at the company’s 112-square-meter stand. All LANXESS business units involved in the rubber and additives sectors are represented, including the subsidiary Rhein Chemie. 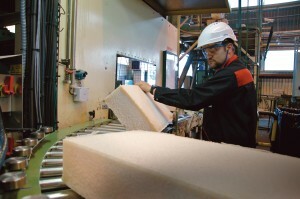 A good example is the automotive industry with growing demands on high-tech rubber. On account of rising temperatures under the hood and at the same time increasingly dynamic loads, motor vehicles are generating great demand for high-performance HNBR elastomers from the Therban family that are resistant to oils and other media. Furthermore, for the development of new electric cars, LANXESS rubber specialists must also find new solutions to familiar issues such as ozone resistance, as they are indeed doing by offering EPDM (Keltan) as an ozone-resistant rubber grade. Special-purpose rubber products face additional demands from increasingly aggressive oil additives and the further spread of alternative fuels, such as bio-ethanol. LANXESS generated record sales in Turkey in 2011 amounting to some EUR 125 million, nearly triple the amount in 2009. Since June 2012, the company has managed its business here through LANXESS Kimya Ticaret Ltd. Şti. “The establishment of our new country company in Turkey represents another milestone on our global course for growth. Turkey is tremendously important not least because of its geographical location between East and West, and as an engine for growth in the entire region,” says Ömer Bakir, Managing Director of LANXESS Kimya Ticaret Ltd. Şti. The company anticipates that the Turkish economy will grow at an average rate of 4 to 5 percent a year between 2013 and 2016, significantly faster than Western Europe. LANXESS markets its entire range of products in Turkey, from high-performance polymers and specialty chemicals to quality chemical intermediates. Activities focus on high-performance rubber products, rubber chemicals and high-tech plastics for the automotive sector, as well as color pigments for the construction industry. The most important target sectors in Turkey for LANXESS are the automotive and tire industries. The company expects the automotive industry in Turkey to grow by 8.5 percent in 2013 and then 3.5 percent a year from 2014 to 2016. In the construction industry, LANXESS foresees growth rates of between 4 and 5 percent in the upcoming years. Technical rubber products from LANXESS, the leading global supplier of synthetic rubber products, are in high demand in the Turkish automotive industry: the oil, ozone, water and oxygen-impermeable LANXESS products are used, for instance, in vehicle engine compartments. Here, they ensure that cable insulation, (brake) hoses, seals, (drive) belts and other rubber components remain tight in spite of heat, strong temperature fluctuations and aggressive fluids. Rubber chemicals from LANXESS facilitate vulcanization and protect rubber from premature aging. As technology leader in specialty chemicals, LANXESS further develops applications that make “green mobility” possible: used in premium tires with low rolling resistance, high-performance rubber grades from LANXESS provide for greater safety, lower fuel consumption and thus reduced CO2 emissions. LANXESS also supports the trend toward lightweight construction in the automotive industry. Already today, high-tech plastics from LANXESS are making vehicles more lightweight, safer and more comfortable – and the trend is on the rise. Less weight and “green tires” mean lower emissions and reduced fuel consumption, and that’s good for both the environment and consumers’ wallets.